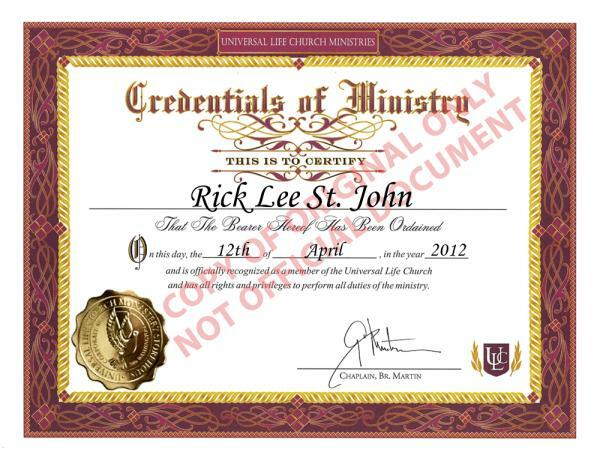 Wedding Minister Services are also offered by Rick St. John Photography. With us you can save time and money by getting married and having your professional wedding photography all done together. Rick St. John is a licensed minister since 2012, and is authorized to perform weddings, baptisms, house blessings, re-commitment ceremonies, funerals, and other rites and rituals within all 50 of the United States of America.